I’ve been searching, probing, and pounding away at my psyche, trying to figure out what really made me want to begin telling people about my epilepsy.On the surface, I’ve felt that I finally got angry about the senseless stigma against epilepsy.But why?What sparked it or what was wrong before then that suddenly righted itself? Starting at the beginning, I felt the stigma when first diagnosed because of my own misconceptions of what “an epileptic” is.This was the Seventies.People with epilepsy were less than, the other, not like me.Suddenly I was one of them, and rather than change my views of what such people are like, I changed my views of myself.As the decades progressed, so did the outside world.I grew, too, to some extent… but not really.My confounding Twenties, led to my shaking off of the negatives in my life in my Thirties.My Forties brought with them more perspective, motherhood, and feeling respected by others.In a sense, I was maturing. 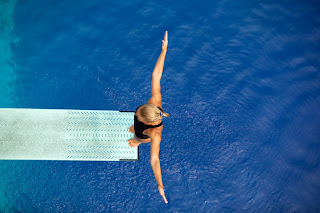 Have you taken the plunge? Until quite recently, I hadn’t.Caught in a conundrum of whether or not to wear a medical bracelet, I hemmed, I hawed, and I finally chose to wear one.Of course, I would believe there’s no question but to haveBut I’m not., and it’s likely you aren’t, either. one… if I were driven by sheer logic. The question, then, comes down to the practical vs. the emotional. 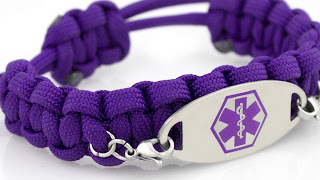 ·Get the right help:Strangers need to know what’s wrong when you have a seizure.They could mistake your seizure for a drug-related event, a different neurological disorder, schizophrenia, diabetes, or another culprits.If they do, you may find yourself in jail or a psychiatric facility rather than an ER or your home. Don’t shock others. Those who know you, but not about your epilepsy, may be in for a shock if you suddenly have a seizure.When I’ve had them at workplaces where people were unaware of my condition, I’ve been racked with regret afterwards, knowing I frightened others. It's Time for a Fight: Patients against Step Therapy! 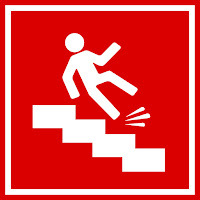 If you aren’t yet familiar with “Step Therapy” and/or the laws protecting rights in many states, as well as the legislation pending in AR, FL, IA, MA, ME, MN, NC, OH, OR, TX, WV, I hope you’ll read on.This is something we all need to fight for.